Indoor heated pool and Hot Tub Located minutes from any Beatrice attraction. 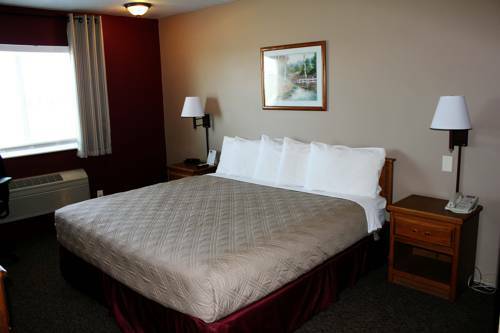 We are conveniently located on Hwy 77 just minutes from Homestead National Monument Southeast Community College Beatrice airport Beatrice Country Club fine dining and shopping. Amenities include an indoor heated pool and hot tub a deluxe hot and cold breakfast served extended hours free high speed wireless internet guest laundry services and a business center with internet faxing Guest rooms have cable T. V refrigerators microwaves iron and ironing boards hair dryers high speed wireless internet. Whirlpool Suites and Business Suites are available upon request. We are conveniently located on Hwy 77 at the north edge of Beatrice right across the street from Walmart and just mile north of the Beatrice airport. Built by a man from 1975 who vowed not be forgotten. 5,000 items, including an aquamarine leisure suit with stitched yellow flowers, and a new Chevy Vega. To be opened in 2025. Boston Corbett shot John Wilkes Booth, then moved to Kansas to live in in a hole in the ground. There's a monument -- built by Boy Scouts -- and beyond a gate stands a lonely sign to mark Boston's hole.